St Agnes Fountain - SOLD OUT! 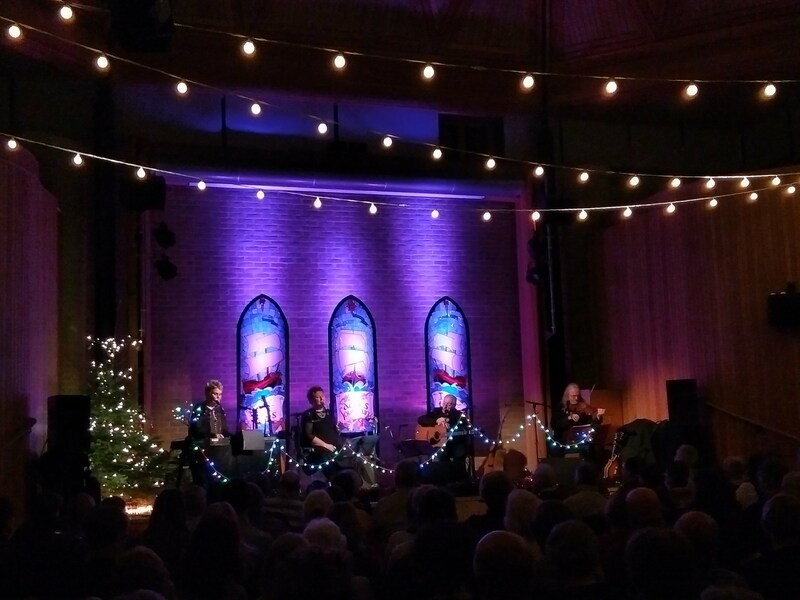 St Agnes Fountain is the annual gathering of four of modern acoustic music's brightest stars. Singer/songwriter David Hughes, Fairport Convention's Chris Leslie and award winning duo Chris While and Julie Matthews. Touring for two weeks every December since 2001, they spread their own magical Christmas joy and goodwill across the land and for past eleven years that’s included a visit to the very special location of Canterbury Cathedral Lodge. Set against the magnificent backdrop of Canterbury Cathedral, there can be no better setting for this pre-Christmas celebration. The show is a joyous event, full of songs, readings, stories and laughter. Who else would think of putting Hark the Herald Angels Sing, to the tune of Billie Jean …and it works – brilliantly. Their popularity has grown, the show sells out early on every year so book early. We could move it to a bigger venue, but as the band says….this very special location is the fifth member of the band. ”What a fantastic night. St Agnes Fountain really got the Christmas festivities underway. As we left the concert the Cathedral lights were on and there was a frost in the air. Just perfect"